It is 7:41 am as I write this blog entry. It is just about 30 minutes past David's 14th birthday. 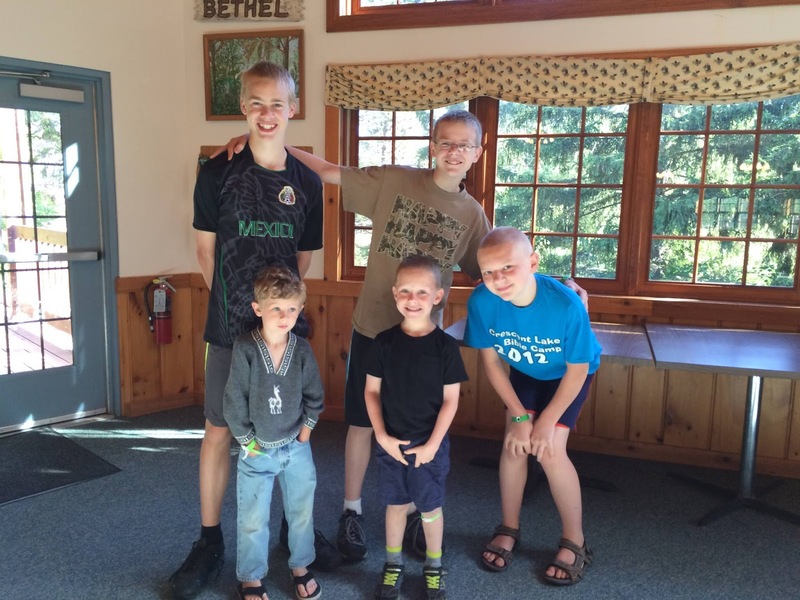 Today he is at camp, 4 hours north of our home and we are not with him. As I walked by his bedroom this morning I was struck by how empty it was. I reminded myself that each year I must let go more and more as he journeys from boy to man. He is getting there. I miss the little sweet boy he once was. Frequently I hear his 4 year old voice in my mind asking me if I would like to "play trains?" Being a stay at home mom during those years was an amazing gift. I soaked up all the memories I could. I was blessed to be given that gift. Today I know that he is at camp serving some of my next favorite 4-5 year old boys. 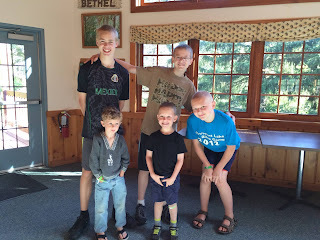 Two boys from my Cubbies class are also at camp. They are there for the first time. 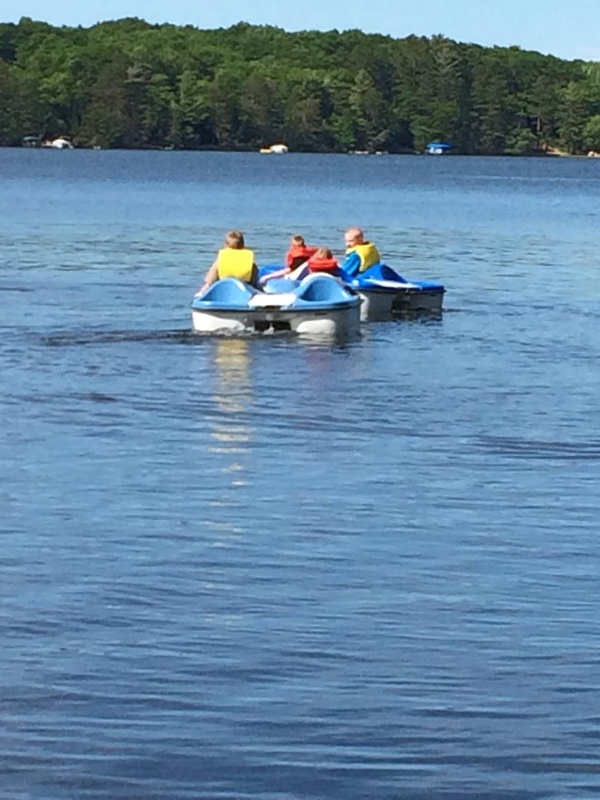 David and his 2 friends were caught in this picture teaching the little dudes how to use the paddle boats. 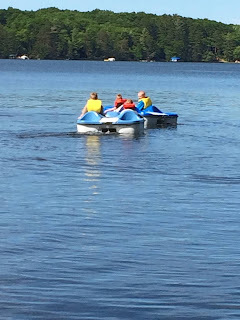 I remember when I had to help David reach the pedals on a paddle boat at Lake Wingra years ago. I was just so proud to see that my son, who is away on is birthday, is serving the next generation of boys. Immediately upon seeing this picture I though of the end of the Awana pledge. To reach boys and girls with the Gospel for Christ. and train them to serve Him. I am so proud of the man he is becoming. I am more often pleased by his decisions than not. That helps me to let go more and more each year. Happy Birthday David. I am so proud of you, not because you make great choices, I am proud of you because you are my son. I bet that is how God feels about us.